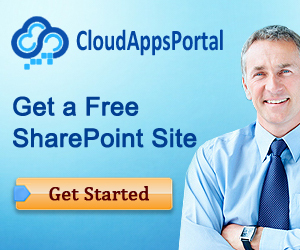 Previous two posts were devoted to discussion of how to integrate video from YouTube and another Video Providers into SharePoint. In the first post we have discussed how to store embedded video properties and render YouTube player using Computed Field. In the second one we have discussed how to store embed code itself as it was generated by Provider. This time we will discuss at how you can aggregate video from RSS/Atom Feeds and provide some information about using API for retrieving video content from Video Providers. 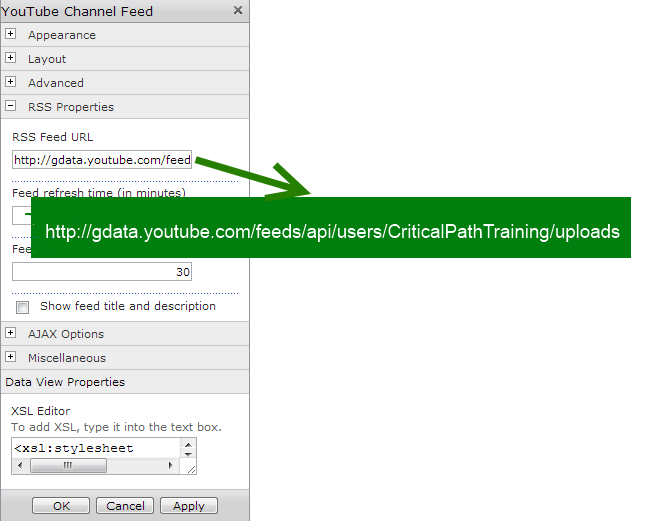 When you retrieve a video feed or list of search results, YouTube returns an Atom feed. Below is presented description of how to display videos from YouTube Feed, in our case we will display results from YouTube channel only. 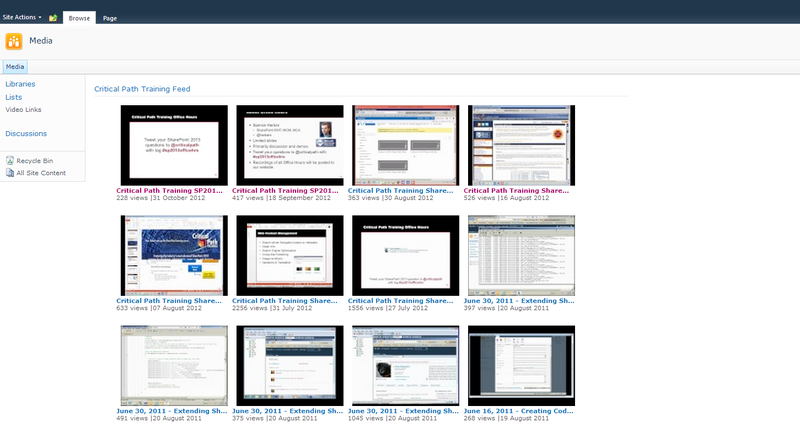 For retrieving video content and displaying results YouTube Viewer web part will be used here. In fact, it is just RSSAggregator web part, but with custom XSLT style sheet for processing YouTube feed, for details see implementation section. The table below represents summary information about API for commonly used Video Providers listed in oEmbed. Table 1. API support for Video Providers. And for displaying it we need some logic to be implemented, for example by creating custom web part. Implementation details for this functionality are omitted here. For aggregating and rendering YouTube Feeds RSSAggregator web part is used as was noted earlier with custom XSLT style sheet for processing YouTube Video Feeds. 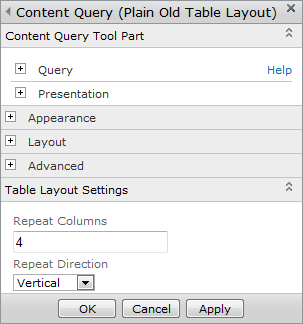 In ASP.NET WebForms for Web Control DataList there is a possibility to specify layout rendering mode using property RepeatLayout, what if the similar functionality would be available in CQWP? So, our goal to extend CQWP, i.e. 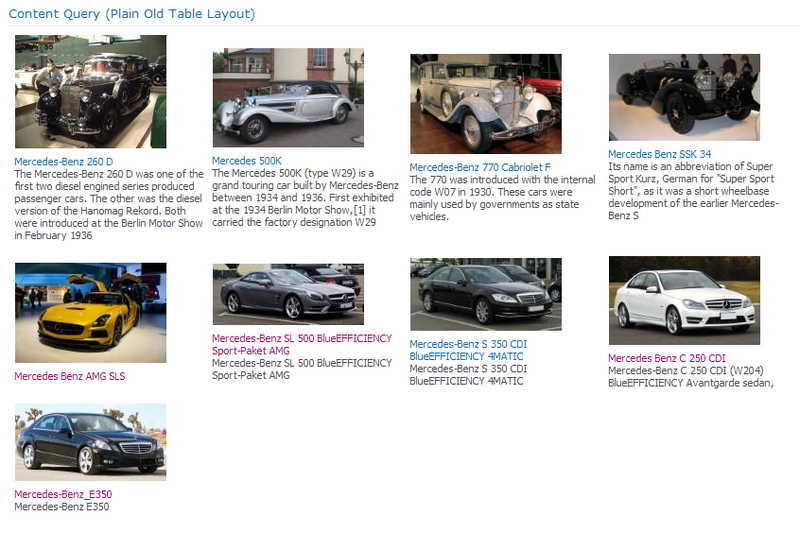 in addition to List Layout rendering mode, lets implement functionality for rendering Content Query Web Part results in Plain Old Table Layout. Pay attention that we provide custom XSLT for processing of the CQWP, for more details see How to: Customize XSL for the SharePoint Content By Query Web Part.